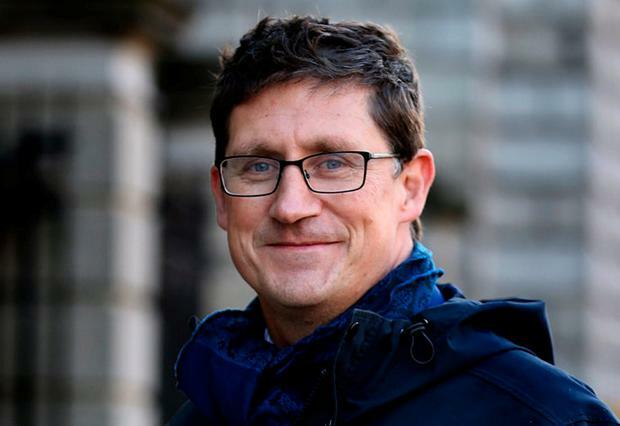 Green Party leader Eamon Ryan has rounded on Taoiseach Leo Varadkar claiming he sides with “Silicon Valley over Irish Media”. In a scathing attack on the Taoiseach, Mr Ryan claimed Mr Varadkar is happy to watch the Irish media come under financial pressure as he prefers to communicate through social media. The Green Party leader said the Taoiseach he would be “happy enough if RTE was withered and the Independent and Irish Times were weakened” as he “still has Twitter and Facebook”. Mr Ryan was responding to Mr Varadkar’s criticism of the Irish media while at a behind closed doors function in the US last week. “He doesn’t think we should a have a well funded media,” he told Independent.ie’s Floating Voter podcast. “If you don't have an indigenous, free stable balanced media who's going to be covering Irish politics in 20 years time,” he said. Mr Ryan said the media in Ireland is “clearly in crisis” due to a lack of funding. “It’s not the heyday of media in terms of money,” he added. He said the current television licence fee is out of date and should be replaced by a household charge. Mr Ryan said the Taoiseach is “very far right” and does not have a “green bone in his body”. However, he insisted there is no personal animosity between them despite a number of heated exchanges in the Dail. “When he doesn’t know the answer he goes on the personal attack,” he said. The Dublin Bay South TD said his party would consider entering government with any party after the next general election. Mr Ryan also revealed that the Green Party is considering backing a candidate in the presidential election.